Wetland degradation in the form of channel incisioning can significantly alter the hydrological functioning of a wetland. 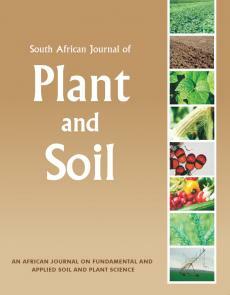 In this study in a small headwater wetland in the Hogsback area, Eastern Cape province, the impact of channel incisioning on soil water levels and soil morphology was examined. A good correlation (R2 = 0.89) existed between the depth of channel incisioning and average water-table depths in most of the 21 installed piezometers. In localised cases the upslope supply of water was in equilibrium with drainage from the piezometers. Although all the studied soils showed hydromorphic characteristics, those continuously saturated close to the surface exhibited redox accumulations in oxygen-supplying macropores, whereas gleyic colour patterns occur deeper in soils where the water table has been lowered by channel incision. The nature and occurrence of different hydromorphic soil indicators observed confirmed the contribution of soil morphology as a valuable indicator of long-term averaged soil water conditions.